Welcome to another adventure in the multiverse! For this episode, we’re diving into the cosmic, and short-lived, sector of DC’s universe. 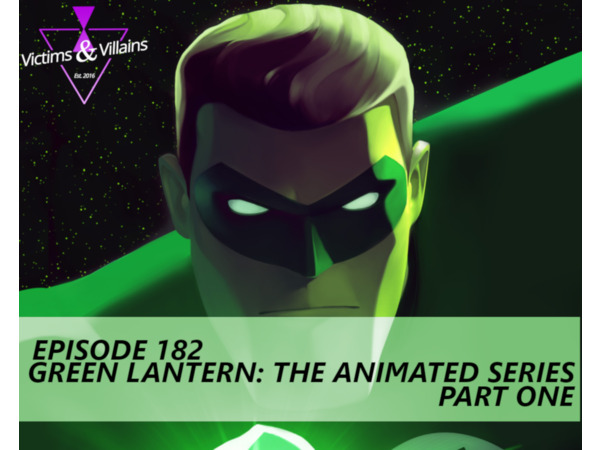 Grab your lantern and charge your ring because we’re talking about Green Lantern: the Animated Series’ first 13 episodes. Our journey into the forbidden zone isn’t without some company. Dallas and Celeste Mora of Geek Devotions are joining us for this episode and plus musical guests, Elephant Jake. Don’t miss Elephant Jake at Flood City Fest 2019! Click here for more on Geek Devotions as well. Click here (http://victimsandvillains.net/episodes/182) for more information on this episode! Music by Logan McElroy and Elephant Jake. The X-Files are property of Fox. We do not own nor claim any rights. The Flash & Man of Steel are property of Warner Brothers & DC Comics. We do not own nor claim any rights. Super Smash Bros is property of Nintendo. We do not own nor claim any rights. Networked by That's Entertainment! Green Lantern: The Animated Series is property of Warner Bros TV & DC Entertainment. We do not own nor claim any rights.